Two days after PM Modi’s rally in Balangir, BJP president Amit Shah is slated to visit Odisha on January 18 when he will meet booth-level workers in Cuttack. New Delhi: Prime Minister Narendra Modi is expected to launch a slew of centrally funded projects worth over Rs 1,545 crore in Odisha on Tuesday. It will be his third visit to the state in last three weeks. Modi’s visits to the state in quick succession assume significance as Assembly election in the state is slated to be held together with the upcoming Lok Sabha polls. He toured Bhubaneswar and Khurda on December 24 and Baripada in January first week. During his December visit, the Prime Minister had launched Rs 14,523 crore worth of projects for Odisha, while on January 5, he unveiled programmes worth Rs 4,733 crore, taking the total value to Rs 20,801 crore in the past month. 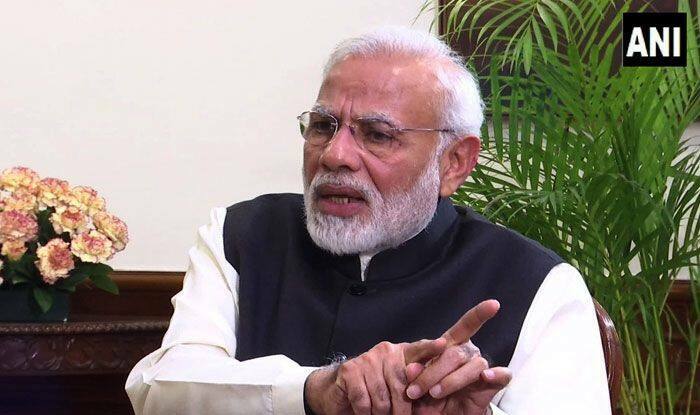 The Prime Minister will visit Balangir, where he is scheduled to address a rally, besides inaugurating and laying foundation of the development projects, mostly in railway sector. The Prime Minister will dedicate to the nation electrification of Jharsuguda-Vizinagaram and Sambalpur-Angul lines, spanning 813 km, completed at a cost of Rs 1085 crore. The project will ensure seamless rail connectivity on the line and reduce running time, a senior railway official said. It will also reduce diesel consumption and lead to reduction of Green House Gas emissions. Modi will also dedicate the doubling of 14.273 km of Barpali-Dungaripali and 17.354 km Balangir-Deogaon road lines, completed at a cost of Rs 189.3 crore. It forms a part of the 181.54 KM Sambalpur-Titlagarh doubling project.